When you want to keep up with who you called/emailed/mailed/met with. It easily records those activities. When you want to give yourself a reminder to do a particular task at a future date, it easily does that. Keeping up with detailed data about the company - it does that well. Sending an email to a large list--does that well too. I really like Really Simple Systems. Adding tasks to a prospect's account is easy. That task automatically becomes part of a list of historical activities when it is completed. 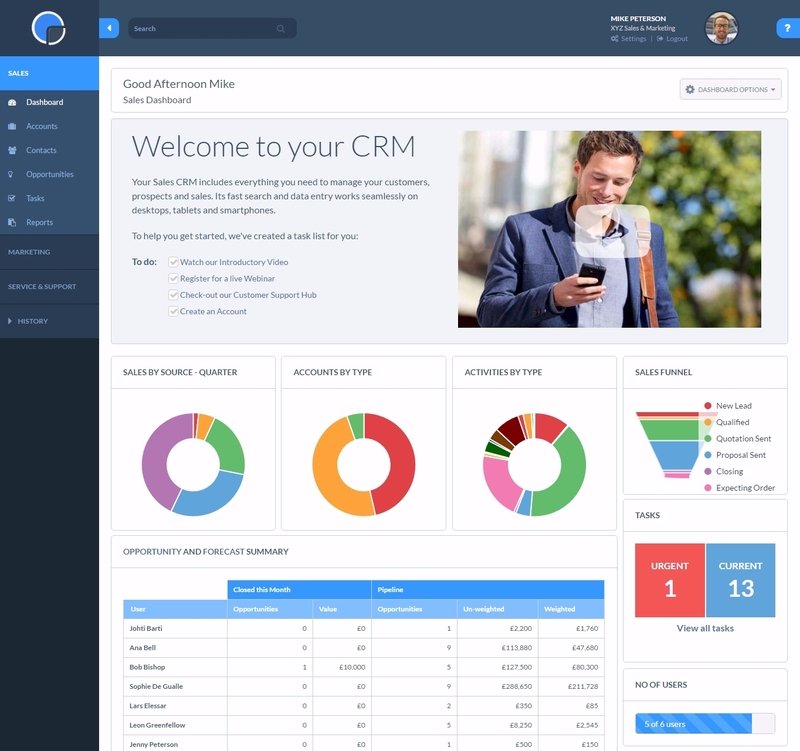 That's a far better system than our previous CRM had. I love that it easily categorizes accounts by company instead of by person. You can still search and do things by person. But we market to companies, and companies add/lose employees all the time. It's great to have a CRM organized by company as its default/best way to organize accounts. Wish I could sort by tags a bit easier. I manage this by using their Reports feature. But I would like to assign the same task to a list of prospects with the same tag, and the only way I can do that is to either add the task one-by-one or export a report with all the accounts with that tag, add the task in excel, and then import it. Not ideal. Company has grown 100% year over year since beginning in 2015. All plans include free customer support and setup help.